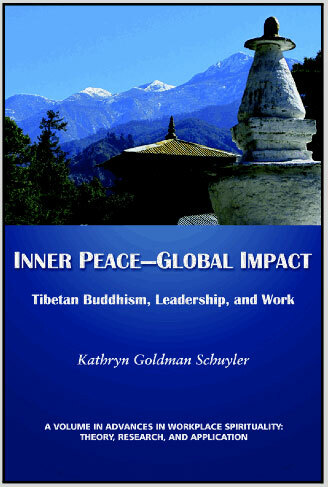 describes underlying principles of Tibetan wisdom traditions relevant for successful leadership in the 21st century. With first-person narratives, personal stories, scholarly research, and commentaries by noted social scientists, this book is written for everyone who wants ideas to revitalize leadership in the West. It is rich with vivid pictures of deep personal experience. Long-time Western Tibetan Buddhist practitioners describe how their practice is influenced in fields as diverse as scientific research, social work, art, dance, and university teaching. The Dalai Lama is seen through the eyes of his long-time friend, eminent author Huston Smith, as well as through the experiences of Thupten Jinpa, his 25-year English translator. Sogyal Rinpoche shares his vision for transforming traditional ways of studying, while Lama Tharchin Rinpoche, a 10th generation Tibetan yogi, reflects on the challenges of teaching in a Western culture where perspectives differ so vastly from those of Tibet. With insights from Tibetan lamas and Western thought leaders like Peter Senge, Bill George, and Margaret Wheatley, this book creates new visions for leadership and the workplace. Special offer: Call the publisher at +1.704.752.9125 and ask for the special $20 price with free shipping on US orders ($29.99 outside the US). Now a Kindle $9.99 ebook!